If you know a legislator who would benefit from the groundbreaking information presented in the morning session, please contact us at info@nwgca.org. We have free seats for legislators and their aides for the morning session. $99 adult registration ($75 for a second family member). Educators: 6.5 clock hours are available at no additional cost. 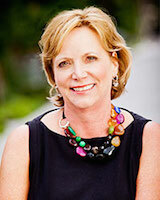 Sharon Duncan is an independent consultant. She works with parents, educators, schools, districts, and psychologists to help them understand and meet the social emotional and educational needs of gifted children. A nationally recognized expert on giftedness, Sharon regularly presents at state and national conferences and has served on the governing boards of both public and private schools. She is co-founder of both Gifted Identity and Gifted Research and Outreach (GRO). She recently co-authored a book, The Glass Cage, which describes the gifted experience in story form. 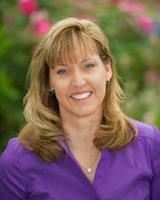 Dr. Joanna Haase is a psychotherapist in private practice with over 28 years of experience. She works with gifted individuals and their families to help them understand, navigate, and embrace the joys and challenges of giftedness. In addition to working with parents and individuals, Dr. Haase partners with schools and districts to educate teachers and administrators on how to better support gifted and talented students. As a nationally recognized expert, she presents regularly at state and national conferences on various topics about giftedness. She is co-founder of both California Gifted Network and Gifted Research and Outreach. 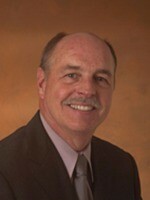 Marc Montgomery is an executive in the aerospace industry. He brings 37 years of management experience to the GRO team having held a variety of leadership positions in both project and line management. A life-long proponent of continuous improvement, Marc holds a NASA-certified master Black Belt in Lean Six Sigma process improvement techniques. As the father of two grown gifted children, he understands the joys and challenges of raising them. Realizing how beneficial it would have been to better understand giftedness and to have had more resources available to him as a parent, he is enthusiastic about working to advocate for the gifted population.